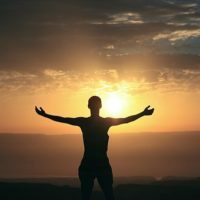 From a complete Life Review and comprehensive Past Life Regression, through an Energy Center Attunement, Higher Self Alignment and Dormant DNA Activation, Suzanne guides you toward the discovery of your soul’s multidimensional aspects and the revelation of your Divine Purpose and Plan of Action for your mission! Suzanne will get in touch with you to set up your first session. Get ready to explore the deep seated past life personalities imprinted upon your DNA. 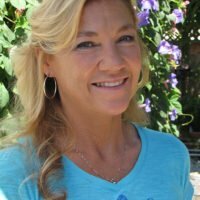 Suzanne will strategically take you from the most recent to the most ancient 3D life experiences you have incarnated into on this earth plane. Tuning you into different time lines, she will guide you through vivid recollections of past life landscapes and connect you directly into the personalities you are expressing there. You will be astounded by the clarity with which these past life scenes appear in your mind’s eye. You will see through the eyes of the person you are being in these lives and feel the emotions you are experiencing there. You will recognize your soul family in others who appear along these time lines and become aware of who they are to you in this lifetime. You will clearly see how these past lives are directly affecting you in this life in both positive and negative ways. Once the direct impact of these lives is revealed, Suzanne will gently guide you through the process of releasing any negative attachments and personality traits that aren’t conducive to your well-being here and now. She will also identify the positive attachments and traits that are benefiting you in this lifetime. She will also point out the key lessons incorporated into each lifetime and the archetypes and rays you are expressing. If any of these lives are causing any blockages in your chakras or shadows in your subconscious mind, she will assist you in transmuting them with divine light and pure love. This is a fascinating exploration that will reveal the multi-faceted 3D lives you have been choosing for your soul’s progression. Between lives, you are always given an opportunity to see what lessons you have mastered and what ones you have to go back and work on. Suzanne’s Life Review and Past Life Regression sessions are specifically designed to reveal important life lessons so you can master them once and for all. Instead of reincarnating in the same dimension time and again to repeat the same life experiences, you will be free to finally move onto more advanced lessons so you can consciously ascend into a higher dimensional experience right here and now! You will make significant progress on your soul’s interdimensional adventure when you are released from karmic attachments! Now you are ready to make a major breakthrough with the next two empowering sessions, Energy Center Attunement and Higher-Self Alignment. Then you’ll be ready to move onto the most transformational session of all – the Multidimensional Soul Retrieval. This supersonic session will connect you with who you are as an intergalactic being traversing all 12 dimensions in time, space and beyond! To prepare you for this multidimensional exploration, an Energy Center Attunement and Higher Self Alignment are highly recommended. 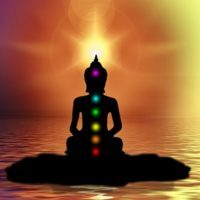 The key to optimal physical, mental, emotional and spiritual well-being is the smooth flow of kundalini energy along the inner channels of your chakras, or rainbow body. This kundalini energy is ignited at the base of your spine when your fiery root chakra is spinning freely. When it becomes weighed down by fears related to survival, security and longevity, the life force energy gets stuck and is prevented from flowing freely along the inner channels. Insecurities settle into this chakra like a heavy sludge that prevent it from spinning with ease. Blockages here can cause a variety of both physical and mental dis-ease. Emotional instability and spiritual detachment can result from long-term blockages in the root chakra. Your session starts with a powerful clearing of the roots of your kundalini tree of life. Suzanne will tune into your root chakra and identify the source of any shadows. As she guides you through releasing any fears or insecurities, blockages will simply dissipate and your root chakra will begin to spin faster. As it spins faster, any remaining shadows will be flung off this wheel and its fire will be ignited at the center. With the flame brightly lit, this wheel be purified and fully illuminated. Once the fire is ignited at the base of your spine, this red-hot energy will travel up your spine to purify and illuminate the entire channel. As the kundalini energy braids your spine and moves through each sequential chakra, Suzanne will tune into the life force of that wheel and identify any shadows that may be slowing it down. As she guides you through clearing any negative emotions, patterns or behaviors related to desire, power, love, communication and spiritual connection, the relevant chakra will gain clarity and brilliance as it spins faster and wider. This will allow you to embrace the positive aspect of each of these energy centers. 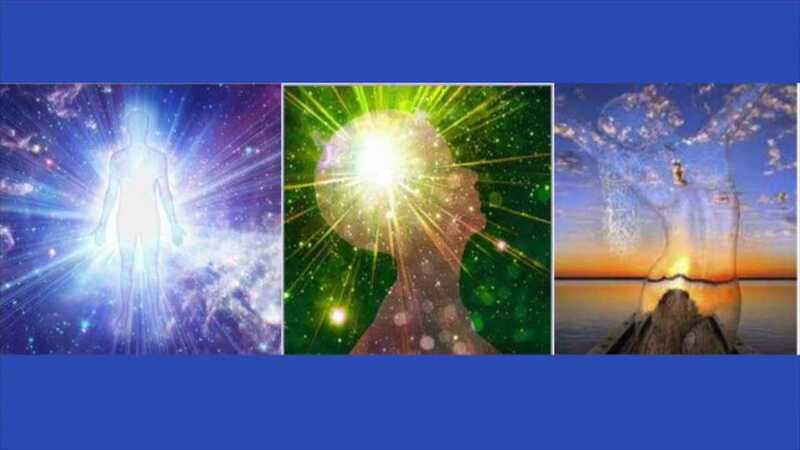 Once your three lower and three upper chakras are cleared and spinning brightly, Suzanne will show you how to seat your consciousness into your crown chakra. Once your rainbow body is fully illuminated, she will guide you through extending your rainbow body down through your earth star and into the heart of Mother Earth. Then, she will show you how to draw your consciousness up through your rainbow body through your soul star and into the heart of the cosmos. This process will allow you to experience a profound sense of oneness. Now you’re ready to be aligned with your higher self by tuning into your soul star! Now that you can envision the multidimensional realms from the perspective of your eternal soul, with Suzanne’s psychic guidance, you can tune into your fragmented soul expressions in each of the multidimensional realms. Starting with the first dimension, Suzanne will connect you into the infinite source of your being. She will guide you through an intense visualization that will reveal the truth that you are the One Great Self immersed in the Great Mother Womb. She will guide you gently through the portal to eternity where you can be seated in your eternal soul essence. Then she will guide you into the second dimension and together, you will connect into each one of the five elements and explore the fundamental patterns of creation. Once you have been empowered as an Infinite Creator Being and Eternal Soul Expression capable of working with the elemental patterns, you are ready to begin your time and space journey starting with the 3rd dimension. Your being takes on a holographic form and personality in each of the dimensions 3-9 and then becomes formless in dimensions 10-12 as waves of love, light and sound. 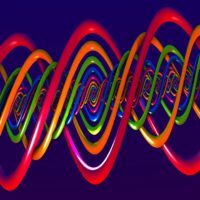 These last two dimensions still carry the DNA life codes originally imprinted upon your being but they dissolve into oneness as you return to wholeness. Ultimately, your eternal soul blueprint dissolves into the pure essence of the divine trinity as love, light and sound (or love, wisdom and word). Finally, you are absorbed into Deity as an aspect of the One Infinite Creator resting in the stillness of the Mother Womb. Here, you will experience a profound sense of peace enhanced by an exuberant state of bliss unlike that which you have never known. As you spiral back into the source from which you came, you will enter the portal of ascension. The gates will be open to you once all 22 strands of your DNA have been activated. The activation of these life codes is the complete pass code necessary to open the gateway to ascension. Now you are prepared for your Dormant DNA Activation! All Creator Gods and Goddesses who are commissioned to create in the multidimensional realms are taught how to use the original codes of creation to imprint holographically in time-space realities. This requires the skillful use of both numerology and sacred geometry. To activate your “Creator Consciousness”, you must be downloaded with the sacred symbols of the Gods and Goddesses. This requires both knowledge of the information and wisdom about the illumination. This is a high-level session that requires a special initiation and advanced knowledge of creative manifestation. Suzanne highly recommends reading her book “Rise Up!” to activate your creator-consciousness. This is a term she uses throughout her book as she guides you through the story of creation from the infinite womb to the zero point field where the creation codes can be accessed and applied. She shows you how the creative spirit flows from infinity to eternity using sacred geometry. She explains in detail how the progressive application of expanding symbology and increasing numerology combine to design the perfect blueprints for spiraling worlds and conscious beings to inhabit them. Since our time and space realm is a holographic reflection of its source, it becomes necessary to create at the level of source first. Suzanne will show you how to use the creation codes in a ritualistic fashion to energize and activate the fundamental patterns of creation. With the power of intention, Suzanne will guide you through projecting a mental construct and then refining it into a physical object. She will show you how to access the source field and draw upon the codes necessary to manifest in the earthly realm. Creating your vision in eternity first allows you to then project it holographically into 3D space-time. She uses love, light and sound to activate the original source codes, so be prepared for a powerful session that is enhanced by audio/video downloads.